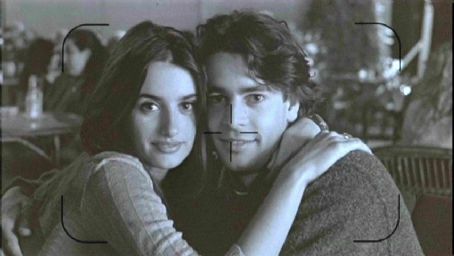 A few years ago, I watched Cameron Crowe‘s Vanilla Sky for the first time. It’s the favorite movie of a friend of mine, and he insisted I give it a go. So I did, and found it to be very much to my liking. It’s a very intriguing mystery of a film, dipping into various genres on its way to a surprising conclusion, all helped along by a number of great acting performances. Simply put, a really good watch. At the time, I wasn’t aware that it was in fact a remake of the Spanish 1997 film Open Your Eyes (Abre los ojos), directed by Alejandro Amenábar. Nowadays I generally try to watch the original first before seeing a remake. It seems more fair that way. The people involved with creating a movie from scratch deserve to have it seen by someone who knows nothing about the story, who experiences it the way they envisioned it. It also means that I’m able to recognize little nods and homages to it once I get around to seeing the remake. But this wasn’t how it turned out that time. The remake was seen first, and while I was interested in checking out the original, it never was very urgent for me. Today I did finally see Open Your Eyes, and it was a really strange experience, not quite like anything I’ve been through before in my film-watching. The movie was good. Really good. Great, actually. It’s a very slick and engaging movie, bringing along many of the same qualities that Vanilla Sky did. I could find nothing to complain about. But I had already seen it. Except then it was called Vanilla Sky. I already knew all the twists and turns. I knew who the characters were, what they were like and what they were going to do. I knew what was going to happen in any given scene. Yes, the movie was great, but the sense of discovery wasn’t there. I couldn’t make heads or tails of which one was the better film. It was really baffling. A rewatch of Vanilla Sky seemed in order so I could make some sense of it all. So I saw the story unfold once more (and on a whim, I turned on the audio commentary with Crowe and Nancy Wilson, who composed the score for the film). Posted by Emil on 9 November, 2011 in Misc.